Denny Jump (Bellevue, WA, United States) on 8 February 2019 in Landscape & Rural. A breezy day in nearby Benicia, sends the schoolhouse flag flying. Always good to see The Flag. @Ronnie 2¢: It is indeed, but, these days, there seems to be much mixed feeling within my mind... So many strange haters! Beautiful colors in this refreshing view! Makes me yearn for Spring! Beautiful picture. I like this a lot. Great colour scheme and wonderful saturation. @Darkelf Photography: Thank you so very much, sir!! Hugs and best wishes to you both! @B. Thomas: Thank you so much, Barbara! Cheers! A gorgeous photo, Denny. 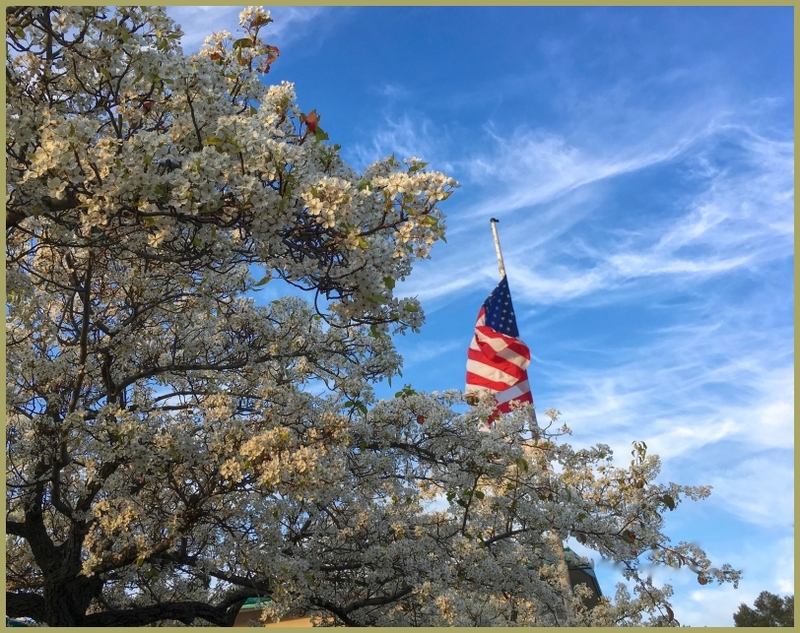 The flag and the blossoms both call to me.